The culture here is simple. It’s trust, integrity and long-term conservative growth. Clients come first. At Raymond James, we believe that putting clients’ needs first – including their need for security – is the best way to ensure their success and, in turn, the success of the firm. 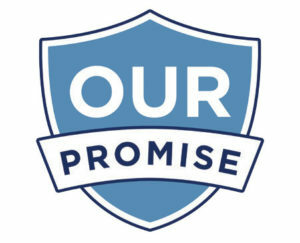 Our guiding principles have led us to over 110 quarters of continuous profitability.1 The integrity, strength and stability at the foundation of our firm offer the most important protection for your accounts. And we back our efforts with a pledge you can believe in. We want you to have the highest level of confidence in doing business with us. That’s why we offer you this assurance:We will reimburse you for actual losses in any of your Raymond James accounts due to unauthorized access to a Raymond James system that occurs through no fault of your own. Maintaining your security is a partnership. With a few preventive measures, including promptly reviewing your statements for any unauthorized account activity, you can help secure your assets and personal information. KEEP YOUR EQUIPMENT UP TO DATE. Install the latest updates and patches for your computers and mobile devices and use security software including antivirus, firewalls and encryption. And before selling or disposing of computers and mobile devices, wipe them of data. USE PUBLIC WIRELESS NETWORKS WITH CAUTION.Avoid visiting sensitive websites when away from home. USE COMPLEX AND UNIQUE PASSWORDS. These contain a combination of upper and lowercase letters, numbers and special characters. Do not share your passwords. BE ALERT TO RISKS ONLINE. Never open attachments or click on links in suspicious emails or from senders you don’t recognize, and limit the personal information you share on social media websites. PRACTICE SENSIBLE DATA MANAGEMENT. Shred sensitive documents when disposing of them. Taking practical steps like these complements our comprehensive efforts to safeguard your information. A dedicated cyberthreat center staffed by certified information security analysts. Penetration and vulnerability testing of our networks and servers. Encryption, secure virtual private networks and the latest firewall and antivirus technology. Email monitoring for regulatory and compliance purposes as well as protection against phishing attempts and malware. Strict controls, limits and monitoring of access to our facilities and systems. Quarterly technology reviews conduct ed by independent auditors. Redundant systems and off-site information storage providing protection in the event of emergency or natural disaster. Coordination with industrywide organizations and law enforcement agencies devoted to sharing information about physical and cybersecurity. You can also take confidence in our multilayered security approach, which combines state-of-the-art cybersecurity technology, rigorous internal practices and protocols, and reliable resources, account protection and insurance. The firm offers account protection through the Securities Investor Protection Corporation (SIPC) and various syndicates of Lloyd’s of London (excess SIPC), as well as insurance for bank deposits through the Federal Deposit Insurance Corporation (FDIC). Raymond James & Associates is a member of the Securities Investor Protection Corporation (SIPC), which protects securities customers of its members up to $500,000 (including $250,000 for claims for cash). An explanatory brochure is available upon request or at sipc.org or by calling (202) 371-8300. Raymond James has purchased excess-SIPC coverage through various syndicates of Lloyd’s, a London-based firm. Excess SIPC is fully protected by the Lloyd’s trust funds and Lloyd’s Central Fund. The additional protection currently provided has an aggregate firm limit of $750 million, including a sub-limit of $1.9 million per customer for cash above basic SIPC for the wrongful abstraction of customer funds. Account protection applies when a SIPC-member firm fails financially and is unable to meet obligations to securities clients, but it does not protect against market fluctuations. Accounts held at Raymond James Bank or in the Raymond James Bank Deposit Program are insured by the FDIC. Since the FDIC was established, no depositor has ever lost a single penny of FDIC-insured funds. The basic FDIC insurance amount is $250,000 per account holder per insured bank for deposit accounts. 1. As of 9/30/2015. Past performance is not indicative of future results. The information provided is for informational purposes only and is not a solicitation to buy or sell Raymond James Financial stock. Securities offered through Raymond James Financial Services, Inc. Member FINRA/SIPC. Investment advisory services offered through Raymond James Financial Services Advisors, Inc. Lanai Financial Solutions is not a registered broker/dealer and is independent of Raymond James Financial Services, Inc.